Miguelina's Resort '19 collection channels the spirit of vacation hotspots around the world, including Tulum, the Amalfi Coast and Venice. 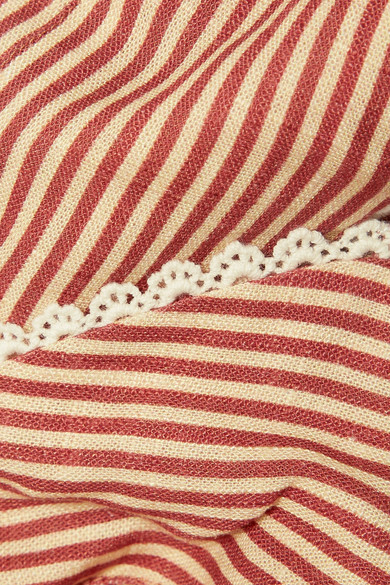 Trimmed with pretty cotton lace, this bralette is woven with a touch of linen and emblazoned with stripes inspired by traditional gondolier outfits. Complete the set with the matching blazer and shorts. Shown here with: Muuñ Tote, TKEES Sandals, Tohum Necklace, WALD Berlin Necklace, Sophie Buhai Earrings.